The most anticipated launch of 2014 is finally here. Cotton + Steel, a new division of RJR Fabrics has taken the quilting world by storm with its collaborative designs from five emerging designers. These five designers are Melody Miller, Alexia Abegg, Sarah Watts, Kim Kight and Rashida Coleman-Hale. Each designer created their own unique collection that's vintage inspired, modern, versatile and perfect for any project. Ever since their exciting Schoolhouse debut at the 2014 Spring International Quilt Market, we've been waiting on pins and needles for these groups to arrive. To celebrate this paramount event, RJR and Cotton + Steel teamed up with FQS to bring you exclusive designer interviews. 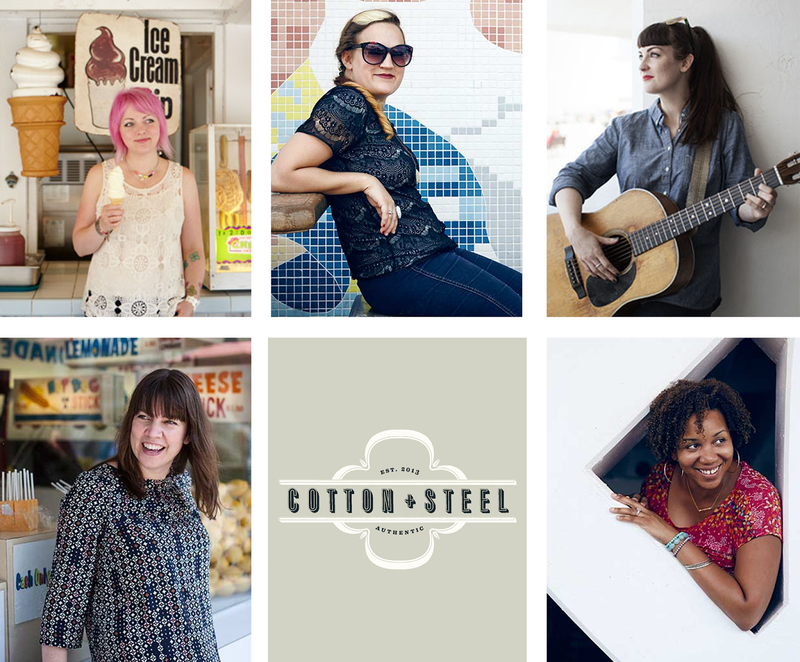 We will be featuring a Cotton + Steel designer every day for one week, PLUS a surprise! You will get to know who they are, what they are inspired by, and more on their collections as well. 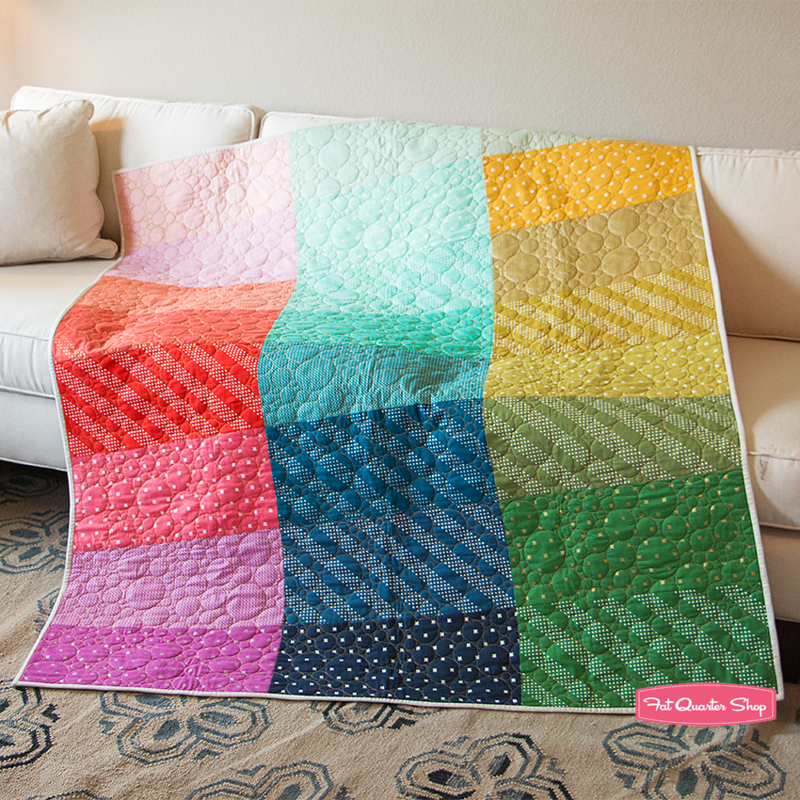 Speaking of collections, Kimberly has fallen in love with the Cotton + Steel Basics collection and created this Chameleon Quilt to showcase all the colors and prints. We've asked Kim Kight (who is practically our neighbor), to create a quilt using the same Chameleon pattern in Cotton + Steel prints. She chose to use blues from her Homebody collection as well as the other designers' collections to mix and match! Although each of their collections stand alone and represent the designer's distinct voices and aesthetics, Cotton + Steel is unique in that they've left room for your point of view. All the collections can be blended into different fabric stories, and you are encouraged to create your own! 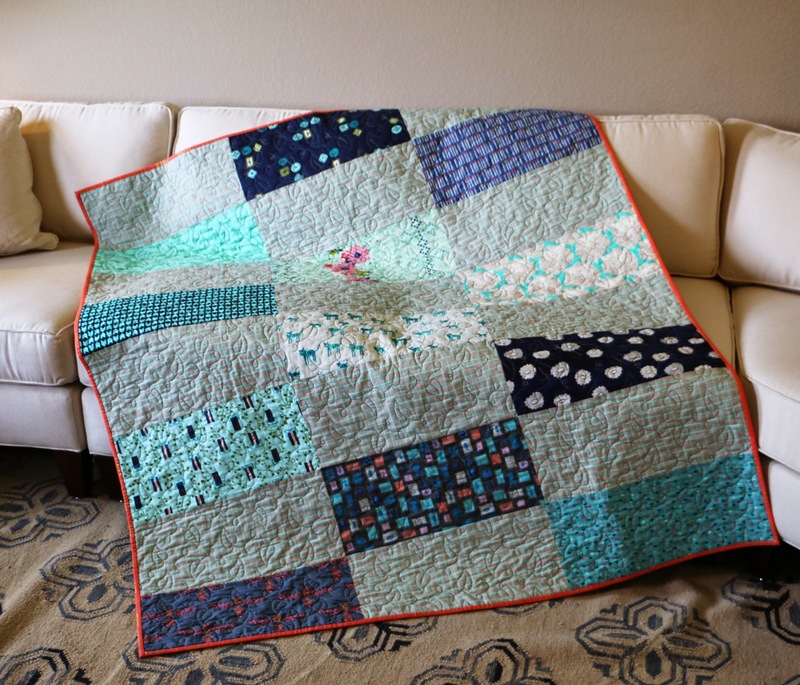 Watch this video to see Kimberly and Kim Kight's Chameleon quilt, then download the Chameleon pattern. 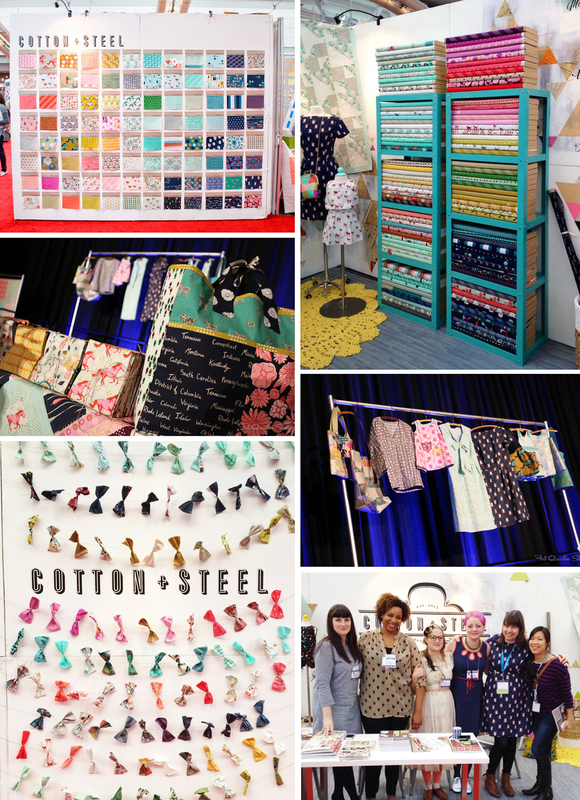 Choose your own favorite Cotton +Steel prints to tell your personal fabric story, and go for it! SURPRISE! 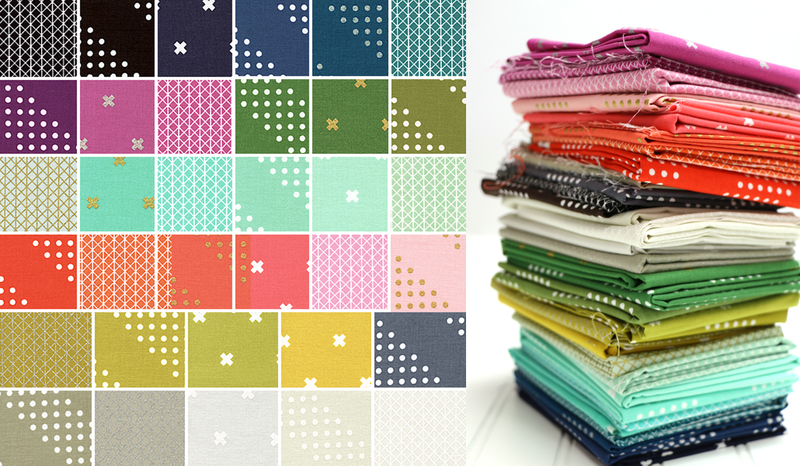 RJR and Cotton+Steel have graciously donated fat quarter bundles for us to giveaway! Today, we are giving away Cotton + Steel Basics Fat Quarter Bundle Set to one lucky winner. Just enter the giveaway through Rafflecopter below! The more entries you complete, the more chances you have to win.